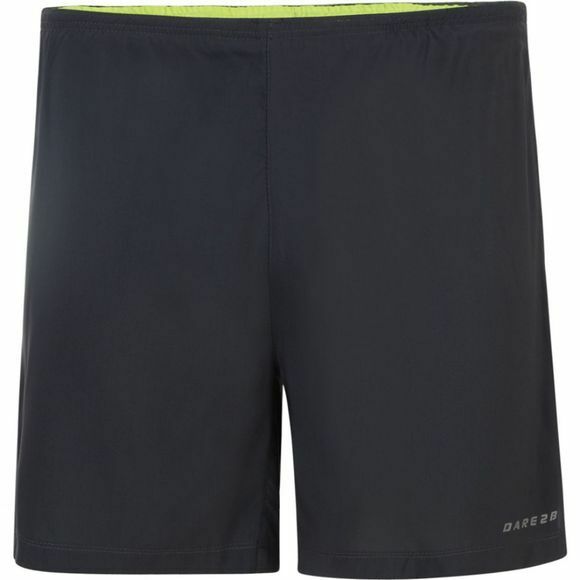 The weatherproof Mens Intersperse Shorts from Dare2b are ideal for training with a two–layer construction of polyester windshell fabric. It's showerproof, quick–drying and lightweight with a seamless inner stretch layer and flat–locked seams for comfort and protection. 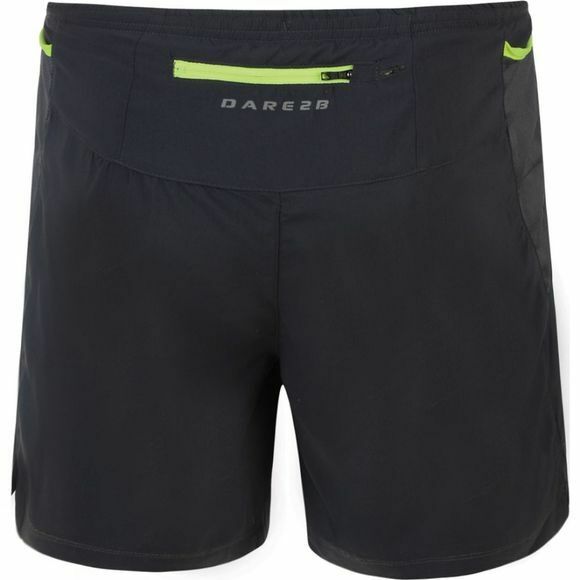 Further features include mesh venting, an elasticated waist with drawcord fastening and a zipped pocket with headphone port. Reflective detailing completes the look.